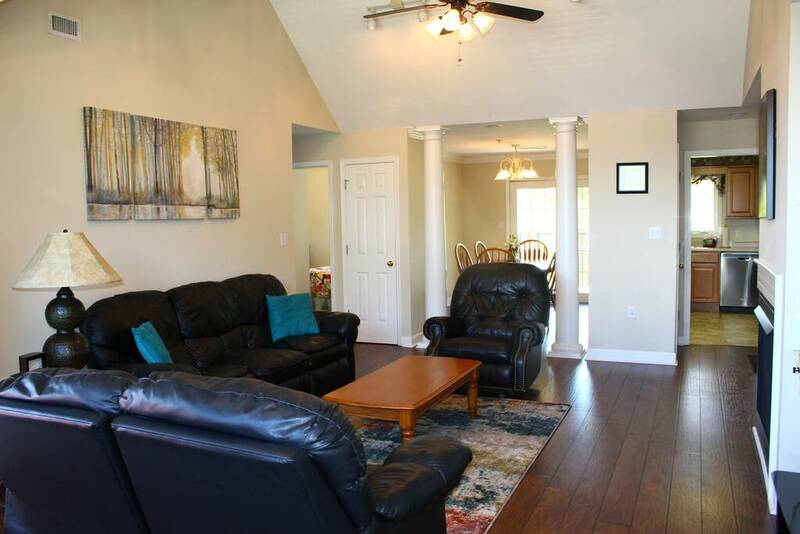 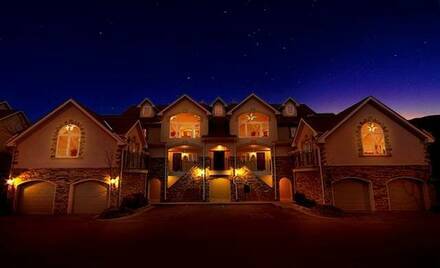 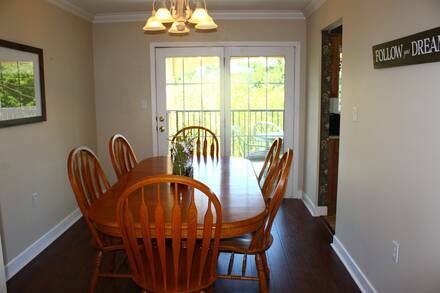 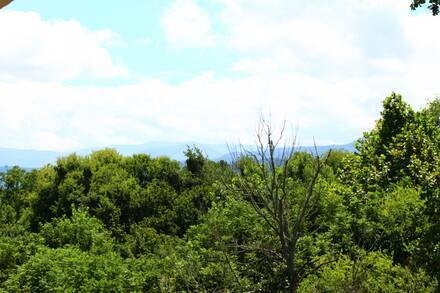 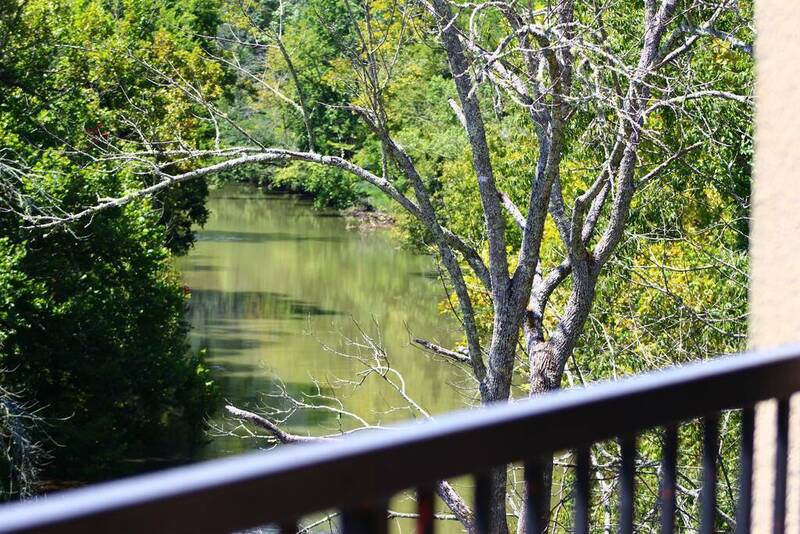 At River’s Edge Penthouse Condo, is a very spacious 2 bedroom 2 bath condo with a balcony overlooking the Little Pigeon River and views of the Great Smoky Mountains. 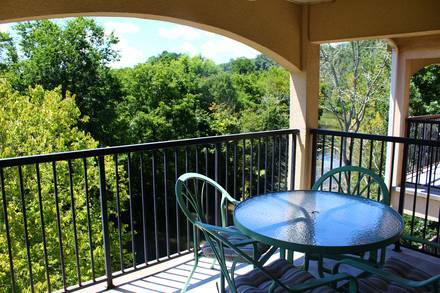 Parking is available in front of building and you go up two flights of stairs to access the unit on the penthouse level. This beautiful 2 bedroom 2 bath, penthouse condo offers a Master Bedroom with King Bed, Full Bath with a large Jacuzzi tub and a walk in closet. 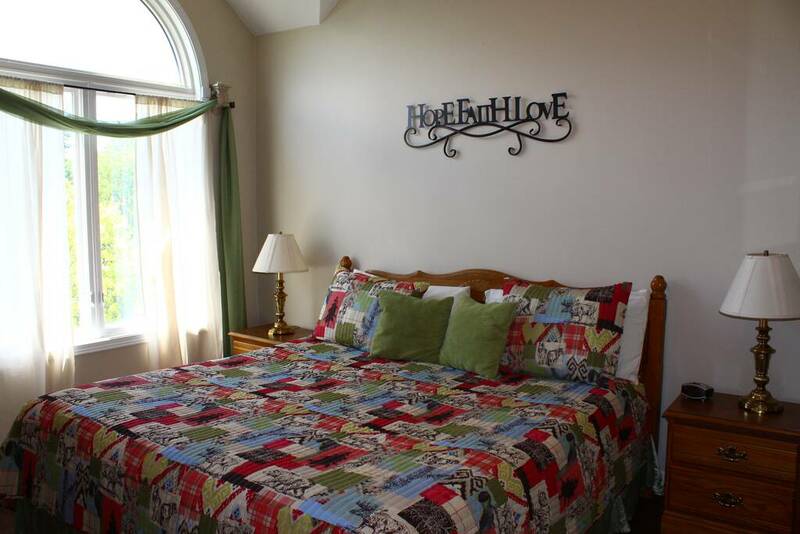 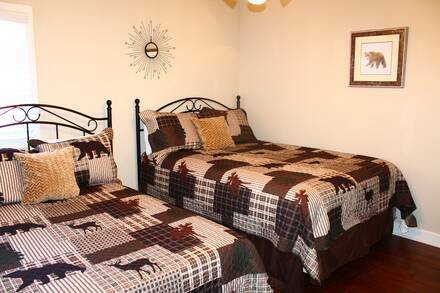 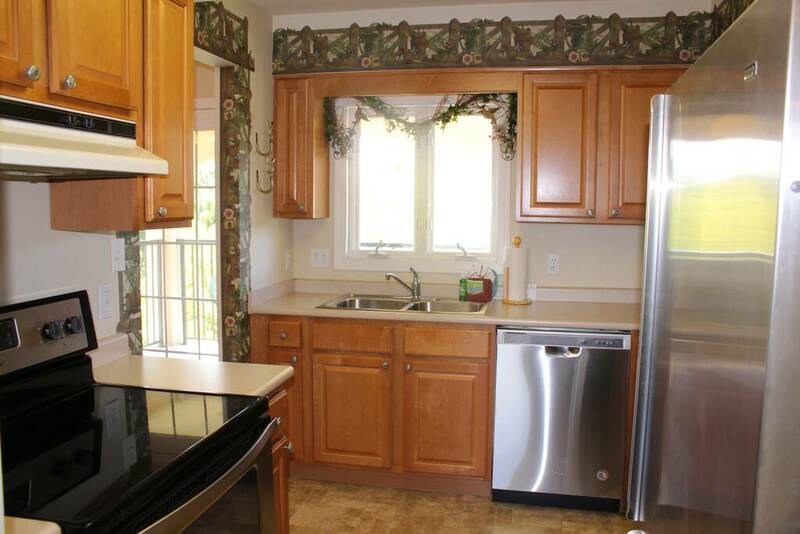 The 2nd bedroom offers 1 Queen and 1 Full bed with a large walk in closet as well. 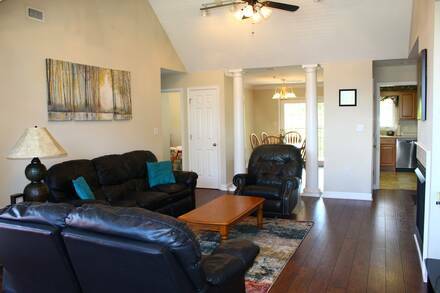 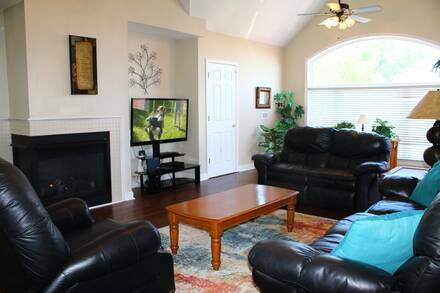 The living area has a beautiful glass fireplace, large flat screen TV, multiple recliners, Wi-Fi, dining room, full kitchen and much more. 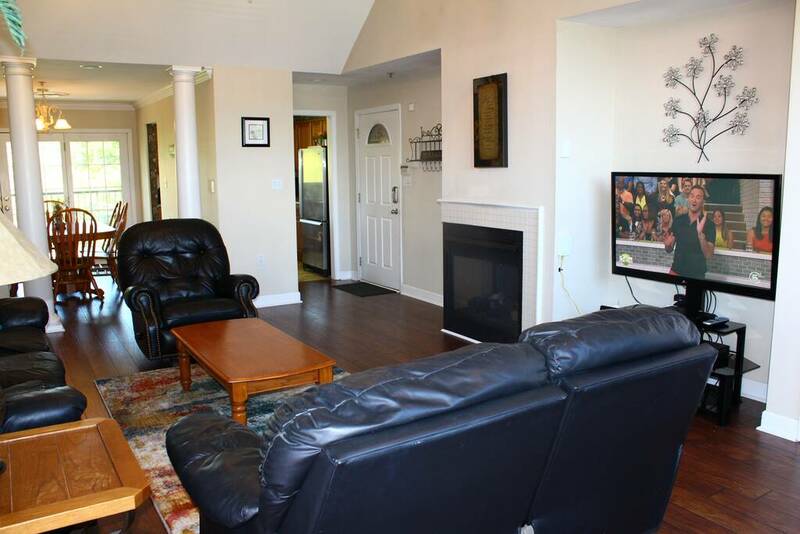 With TV's in both bedrooms, 2 bathrooms, master with Jacuzzi/Shower combo, Full size washer and dryer, wireless internet and cable TV there’s not much this penthouse does not offer. 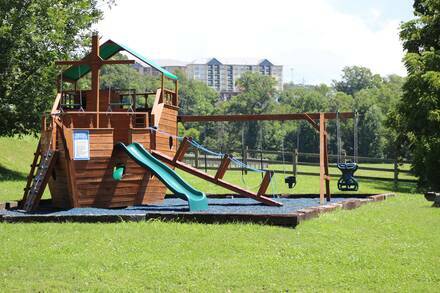 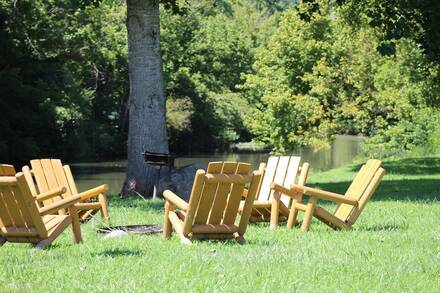 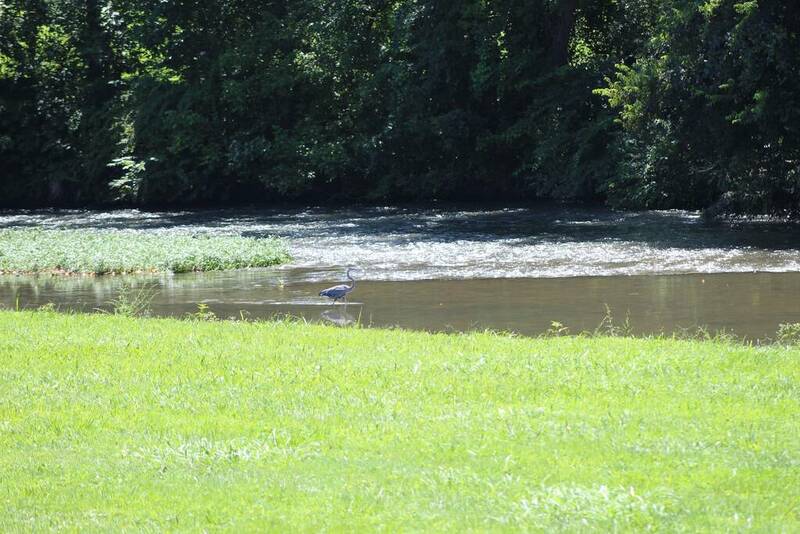 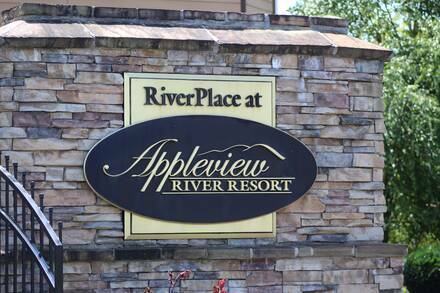 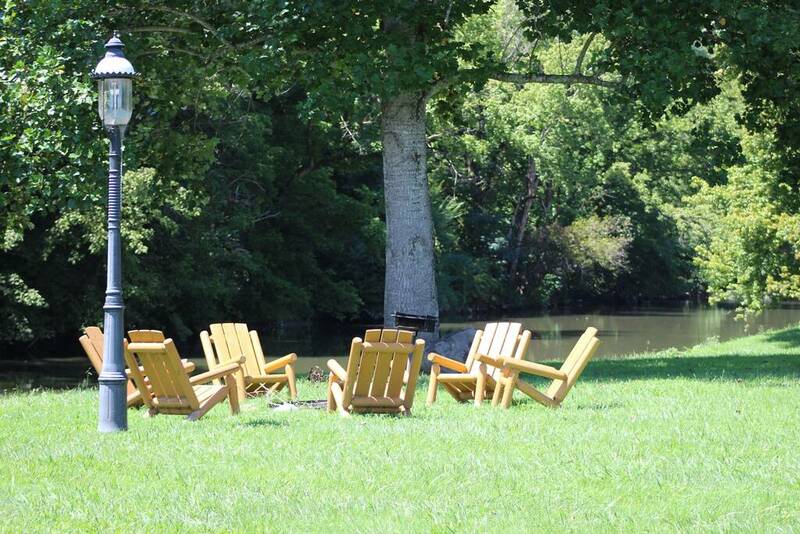 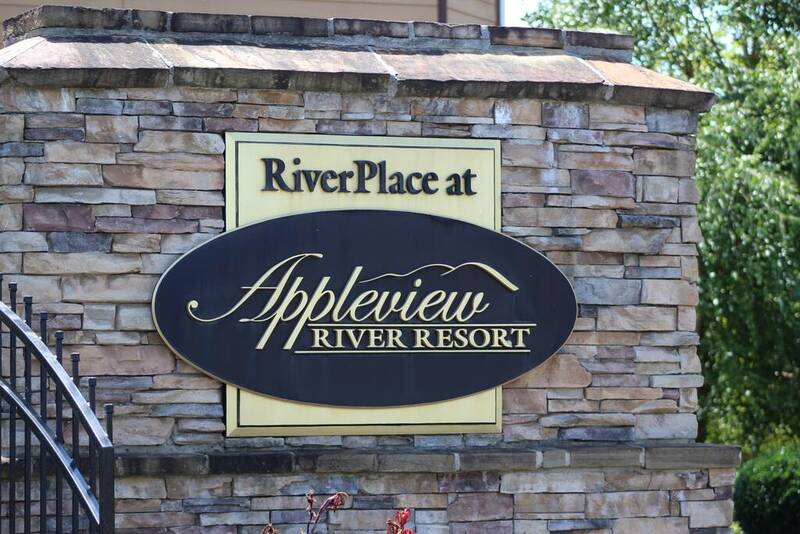 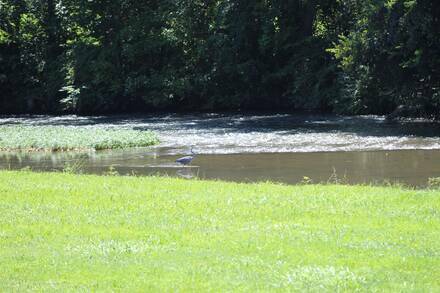 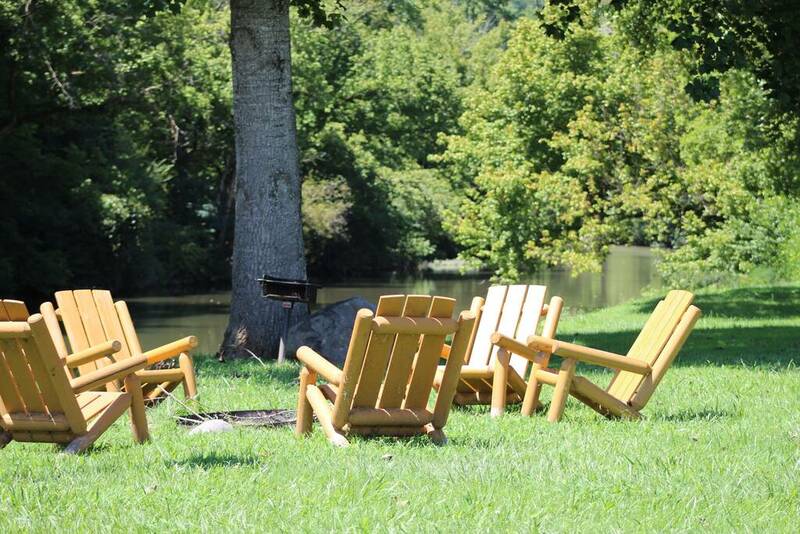 The resort also offers a river walk along the river with gas lights, sculptures and picnic tables, an outdoor fire pit and the Appleview Ark Playground with rubber safety mulch. 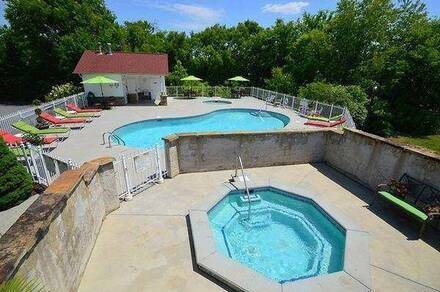 The outdoor community salt water swimming pool, kiddie pool and hot tub are located on the Orchards side of the Apple View River Resort and is open April to September annually.